Newton House at National Trust Dinefwr Historic HouseA magical land of power and influence for more than 2,000 years, Dinefwr Park and Castle is an iconic place in the history of Wales. Two forts are evidence of a dominant Roman presence. 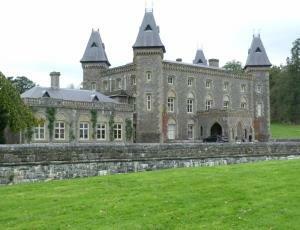 The powerful Lord Rhys held court at Dinefwr and influenced decisions in Wales. A magical land of power and influence for more than 2,000 years, Dinefwr Park and Castle is an iconic place in the history of Wales. Two forts are evidence of a dominant Roman presence. The powerful Lord Rhys held court at Dinefwr and influenced decisions in Wales. Reduced rates apply for 7 - 31 January.